What do I need in order to connect this to my PC? BEST ANSWER: The 16153 50W Hybrid tube amp with Bluetooth will do very nicely. A simple class-D amplifier would work. There are tons on the market for less than $100. I'd recommend the Micca OriGain Compact Stereo Integrated Amplifier and DAC, 50W. You can connect it directly to your computer with USB, making it the sound output device, which would likely be higher quality than your computer's built in sound card. The Micca OriGain would also act as your amplifier. These are fairly sizable and overkill for a PC. You would only have stereo as most high end PCs have typically 5.1 or 7.1 surround cards. To answer you question, PC's use a 3.5mm connectors so you'd need a stereo 3.5mm(male) to open-ended raw cable or possibly a banana lead (male) to connect to the speakers. You would not want to connect these directly to the sound card/computers output. Would it work? Maybe a little. But the impedance would kill the sound card at some point. Computers output <5 watts. Probably closer to 2 watts. You will need some sort of amplification between your PC sound outputs and the speakers. For this reason, most PC speakers are active (with amplification inside the cabinet), but there's no reason you couldn't use the C5s. Can Air Motion Cinema 5 bookshelf speakers be bi-amplified (separate amplifier powering woofer and tweeter)? BEST ANSWER: No they cannot. 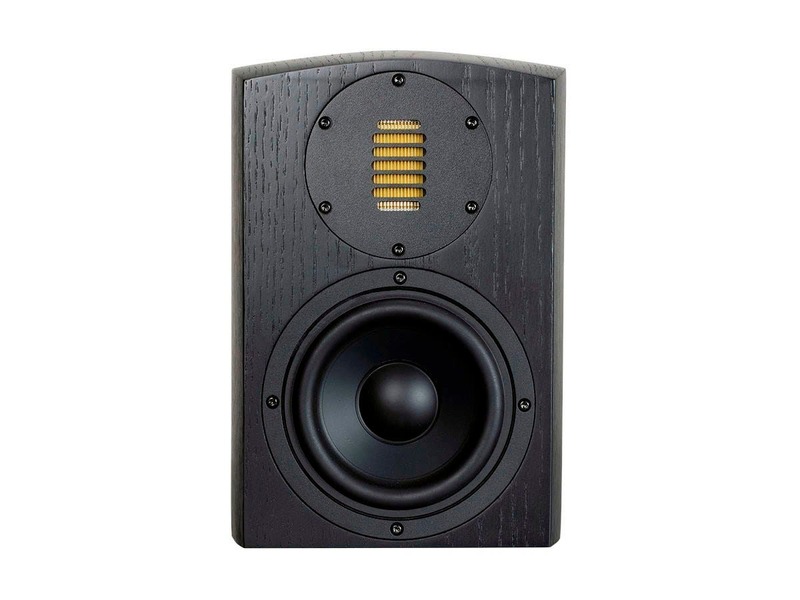 driver its own amp module like most powered studio monitors along with the digital Xover-EQ. with the TV in the way. There is only one pair of terminals on each speaker so I don’t think so. what is the minimum power requirements? BEST ANSWER: Here's the deal with power requirements. Typically you won't find minimum power specs on speakers. However, If you like to play it loud, make sure you have plenty of power. An amp with 10 watts per channel will be fine for many, but if you want to play it loud, that amp is more likely to do damage than a 100 watt per channel amp. 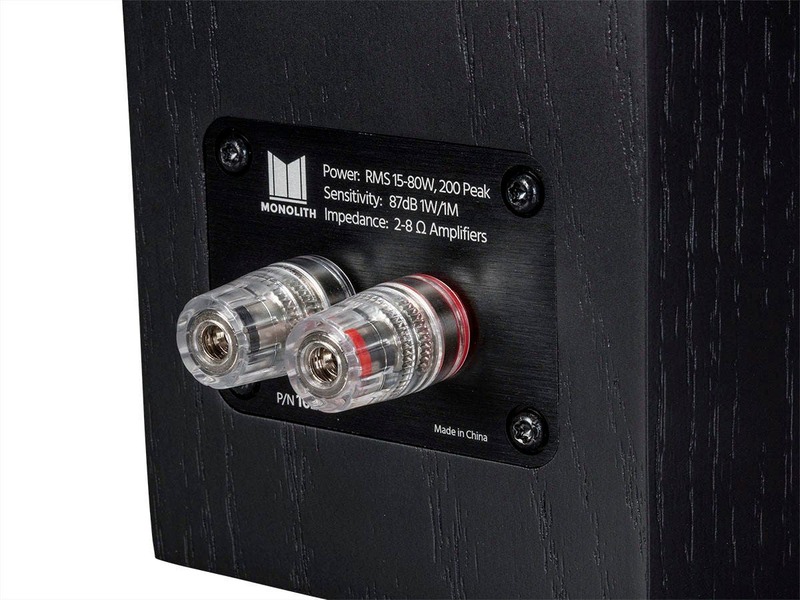 If your amplifier/receiver has too little power, and you crank it up, the amp will clip, causing distortion that is quite audible, and can do damage to speakers, especially tweeters. So in that case, you could say there's a minimum power level, but you won't find it specified. There is no minimum power requirement. Are speakers designed to be optionally mounted on their sides? Or do they need to be standing virtually only? They may not sound as "correct" if horizontal due to the slits/wave guides on the tweeters. horizontally mounting them may affect their dispersion pattern. Do these have any kind of mount under them? Or are they meant to go on a flat surface? BEST ANSWER: They are meant to go on a flat surface or speaker stand. I can't recall whether there are any mounting points along the back (but I don't think so), but there are none on the bottom, and they are meant to be placed atop a flat surface (such as the new Monolith speaker stands). Four rubber discs, each about the size and depth of a nickel, are also included with each speaker. They are meant to be attached to stands, and help stabilize the speaker. BEST ANSWER: No they are not. Is there a good way to wall or ceiling mount this speaker? BEST ANSWER: Some nice decorative shelves are your best approach to mounting these. i bought 2 centers - these are nice speakers for the $ but are rather heavy. I put on pedestals. Do they have a flat top? 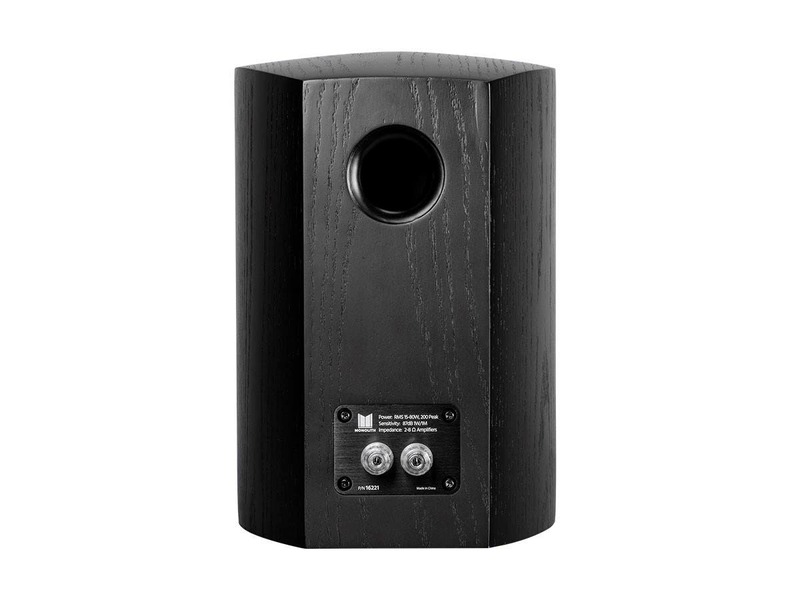 Can an Atmos speaker be safely placed on top of this speaker? BEST ANSWER: The top of the cabinet is rounded to prevent standing waves. No, the top is curved side to side and front to back. 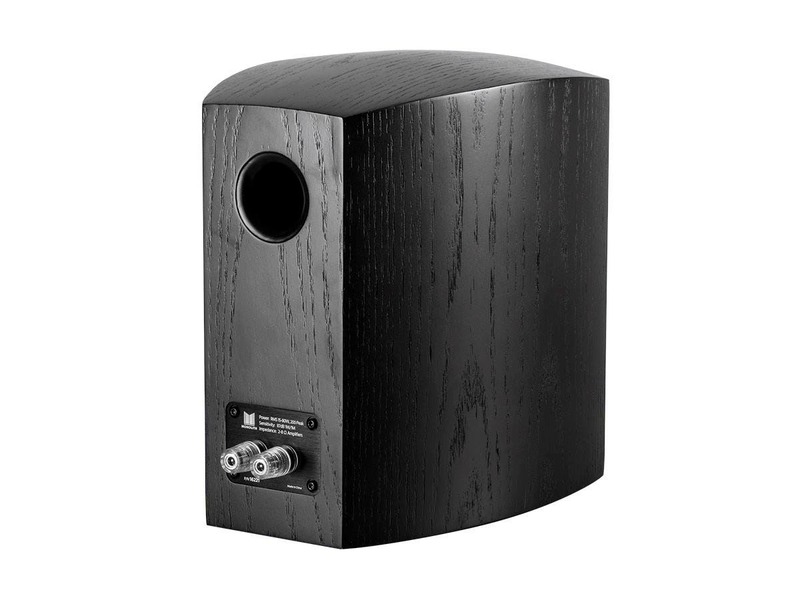 If the Atmos Speaker had 4 small legs it would probably work. How far do these need to from the wall? Can they be wall mounted with an appropriate bracket? BEST ANSWER: Thank you for your question. I would recommend keeping them from being directly or too close to the wall. You would them far enough where the sound will come directly from the speakers and not reflecting off the walls. These would not be mountable, they would not have mounting points. Perhaps using a bracket designed for bookshelf speakers would work. I hope this helps. Have any of the changes suggested by Audioholics review been implemented yet? If not any ETA ? BEST ANSWER: unfortunately, although well constructed with apparently good components, these speakers sound lousy. That doesn't answer my question, but what amp (make/model) are you using ? Has anyone compared these to the Definitive Technology ProMonitor 1000? Excellent sound and design for the price. I use them both for music and theater applications. Well built. Sound great. I’m using as surrounds. My fronts are Goldenear and I was trying to match the folded ribbon tweeter without the price of Goldenear. Great bang for the buck. It was between these and Emotiva B1s. My wife liked the looks of these better. The price is basically the same. So far, they sound great as surrounds. I am not an audiophile but these speakers provide absolutely fantastic sound for my application. I would rate this a 3 because of the use of magnetic screen covers. It sounds pretty good for the size of speaker. Wish you sold tower speakers like emotiva does. Not as good as my KEFs or my Sonos 5's , but this is considerably cheaper. Old School quality and simplicity! The speakers fit the small space I had to use and filled the room with "large" speaker sound. I was impressed by the weight and quality construction of the speakers as I was taking them out of the shipping container! I listen to a large variety of music using an average receiver and all genres from reggae to classical play crisply and clearly. These speakers are now the highlight of my whole system! Although these are very small bookshelf speakers, they've replaced a pair of Polk M20 towers in my HT setup, and sound better (at least to my ears). Build quality is absolutely phenomenal, with the nicest binding posts I've ever seen (on similarly priced speakers), and I'm completely satisfied with my setup, which also includes the accompanying center channel! I've been personally involved with stereo since 1958. First as a hobby and professionally since 1973. Although I worked and loved high-end, chasing nirvana was a dead-end for me. The more I spent, the more annoyed I became with the inevitable imperfections in the craft. So value became my watch-word. These Cinema 5's really fill the bill. 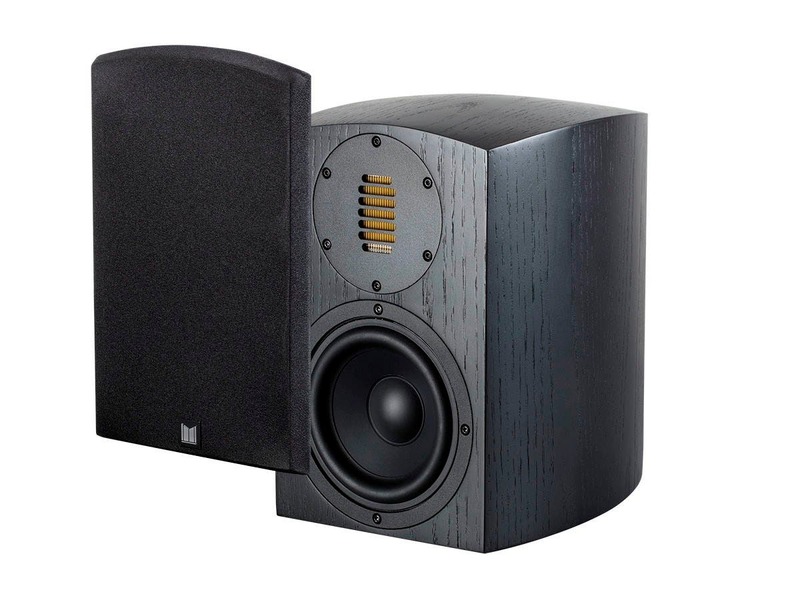 Unlike most speakers at this price point, they are not simple folded V-groove boxes covered with pictures of trees. Instead they are dense with a lovely rounded top covered in genuine oak veneer. 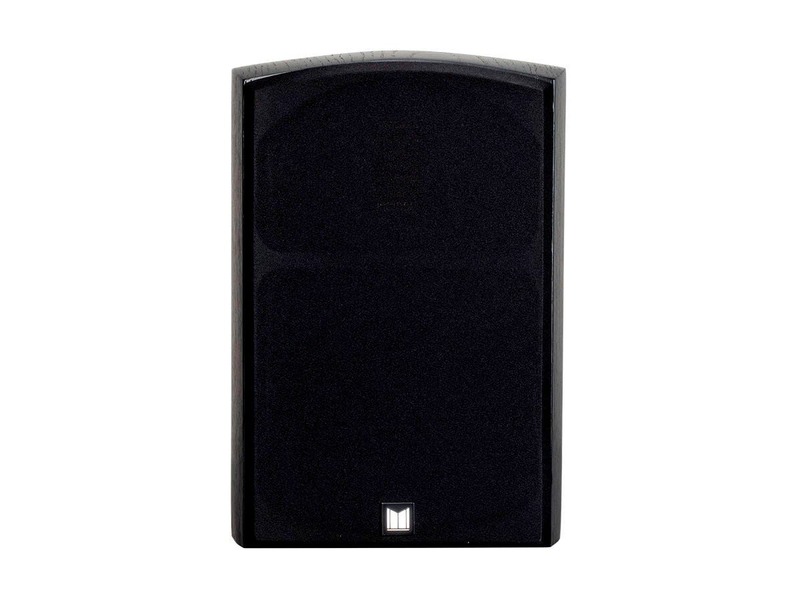 The woofer and crossovers are top-notch using the appropriate industry best-practices. The tweeter is a gem with smooth response and detail upon detail. No nuance is lost. I purchased a pair of the Cinema 5's and the Cinema center. They replaced a set of THX style LCR's. The LCR's were smooth but offered only medium resolution. With these Monolith AMT's I now have a high-resolution system. I smile every time I hear them. As I wrote in the title: These are really, really good. And a great value as well.